I was awoken early to requests from the yachts either side that they were departing, and that I would need to move Troskala, so at 08:00 in the morning I found myself circling the harbor whilst everyone else shuffled along. Luckily one of the crew from the other boats was there to lend as hand with ropes, which made my life much easier. After re-establishing Troskala I had a deep clean of the boat before the next set of crew arrived to help me sail Troskala to Devon. 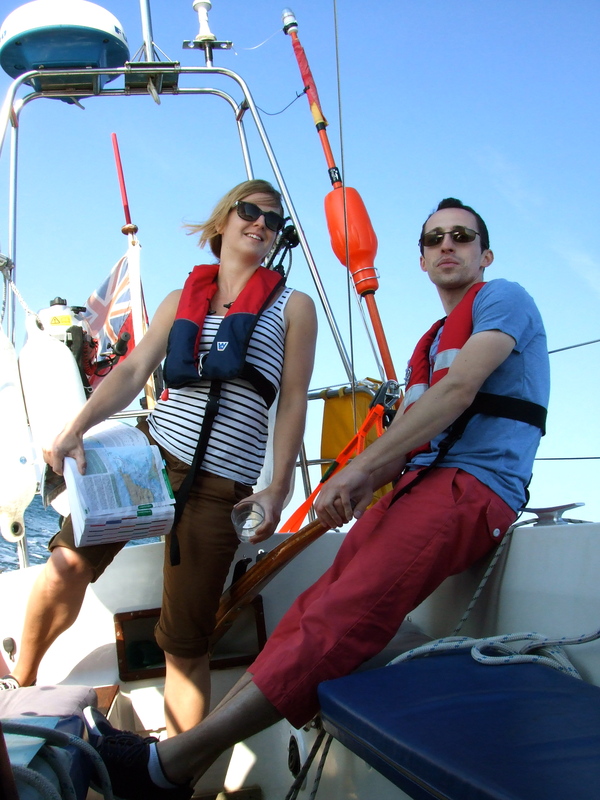 Ben and Emma arrived at 13:00 and after a quick tour of the boat they were sent to the supermarket to stock up on provisions for the next four days. We departed Lymington at 16:30 to make use of the tide heading west. 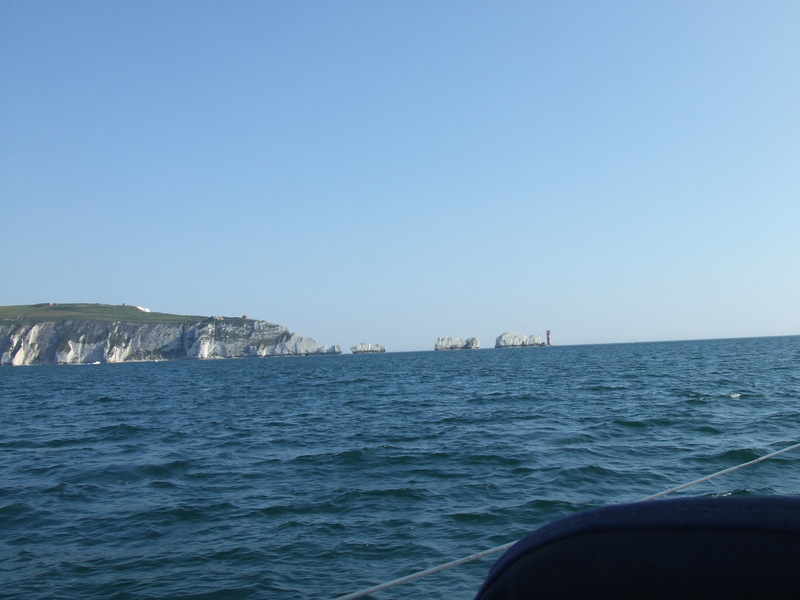 We had a great sail through the Needles Channel reaching 9 knots at some points but as soon as we reached open water the wind ebbed and we were left trying to get some movement with the Gennaker up but again this failed so we motored into the sunset until we reached Studland Bay. We anchored and were joined by another yacht that we had met in Cowes. After blowing up the dinghy we picked them up and headed to the pub in Studland bay where a beer festival was taking place. We had a great night over a few pints although in an attempt to pull the dinghy to the beach I misjudged the depth of the water so had to spent the evening sitting in wet shorts; I will learn one day. After finishing our pints we headed back in the depth of night. For the first time in many months we saw stars as bright as the moon and could clearly identity the Milky Way. On top of that and as Ben rowed we experienced beautiful phosphorous in the water and were followed by twinkling stars in the water that illuminated Troskala’s hull – it was a magical night. Things went down hill from there and as we tucked ourselves in bed a strong Easterly Wind gained force and we were left with a sleepless night through the swell and the grinding of the anchor which did not go down well as we needed to depart Studland at 05:30 in the morning.